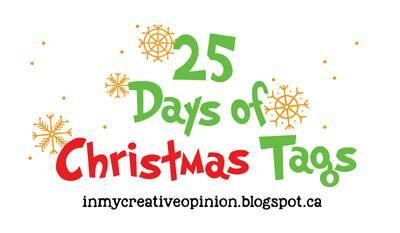 Hello and Welcome to the 25 Days of Christmas Tags with Tracey McNeely. I am so fortunate to have Tracey as a friend and am excited to help her celebrate the 8th year of the 25 Days of Christmas Tags! 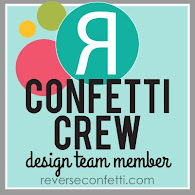 I am sharing a tag using some new goodies from Reverse Confetti! They will have a new release on November 8th! Reverse Confetti is releasing a new TAG......the Grid Stitched Tag! You are going to WANT it! I have so many ideas using it! Here I've die cut the tag out of Avocado cardstock. I adhered the adorable (and previously released) Santa from Jolly Holiday along with a new stamp from the Christmas Circles set. I layered the circle with a scalloped circle die from Circles 'n Scallops Confetti Cuts. Remember there are TONS of sponsors of this event! Make sure to visit Tracey's blog link above for all the details AND stay tuned for the new Reverse Confetti release tomorrow! So adorable, love this Amy! 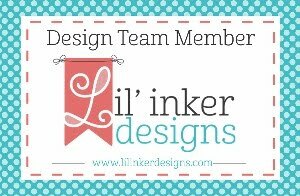 This is so sweet amy and you are right, I DO want this Grid Tag Die! ♥ IT! Very cute, and I do love the grid tag. Love the stitched grid... and your whole tag. What a goofy and cute little santa! Great coloring! Love the green you chose for the tag - a lovely, fun, and festive holiday tag overall, thanks for sharing! This just makes me smile - that adorable Santa, and the classic colours. Great tag, Amy! Ho ho ho. this is darling. Very cute tag, I really like this interesting stitched tag. This is so festive. I'm partial to the traditional colors you used, and the Santa is so cute. The stitched grid adds another element of interest. This is very cute. I love the unique Stitched Grid Tag. There's so much detail on this cute tag! So cute and fun! Your tag is adorable, Amy. Wonderful inspiration. That little Santa Clause is really sweet! Love the holiday green background too! Perfectly sweet and adorable tag. Love that adorable Santa! How fun! I like the Christmas colors. That's a super cute Santa! Reverse Confetti often does images that have larger heads and smaller bodies (I have the cheetahs), and I really love that look. This is a darling tag! These are stunning. So beautiful! 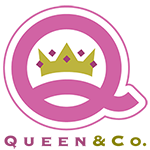 Queen & Co. / New word dies!